Can Rufus King pull away from the rest? "He could well get an easy lead here if Mubtasim doesn't repeat his Meydan winnings tactics from earlier in the year, though - and he usually doesn't - and that could suit P J McDonald just fine." I don't normally venture away from my ITV racing brief but I am going to make an exception for the third day of the Craven meeting, though we can skip the first three races of Thursday's Newmarket card as none interest me in the slightest from a betting point of view. Lincoln third dead-heaters Breden and Beringer are my two against the field in the 15:35 - though that probably isn't telling you much - and the latter gets my vote, though the seeming lack of pace in this race is a worry. I can't see any horse in here that has shown any inkling it will want to lead here. Hopefully someone will take the bull by the horns, though. And I hope Andrea Atzeni does. A feature of Beringer's 3yo career was how he breezed through his races over 1m2f. And while he didn't always deliver after his June brace of victories, he ran some absolute stormers in defeat, notably when a 3/4 -length second to a certain Wissahickon at York. The speed he showed over that trip prompted connections to try the mile of the Lincoln and he lost absolutely nothing in defeat there. In fact, you can probably mark up his effort at Doncaster, as he made up a lot of ground on the far side from the rear there, and the handicapper has played ball by allowing him (and Breden) to race off the same mark here. The selection has bypassed a couple of engagements since but this looks a good opportunity for him. He finished a good second over 1m2f here in May and he loves quick ground, and I just hope the lack of pace on paper doesn't come to fruition. Like I said, it could well be worth trying to use his cruising speed from the front over this trip.I was going to take a chance with him, even with that doubt, but when the prices for this race started to filter out at 16:15 on Wednesday, Beringer was installed at around a 5/2 and 3/1 chance, and that is far too short for me to play at. I was looking for 4/1, minimum, maybe optimistically. So no bet. The Earl Of Sefton at 16:10, is a very tricky 11-runner Group 3 contest, and normally this is a race I would let pass. But I wasn't expecting the Ryan Moore-ridden Robin Of Navan to be the price he is, and he could present an interesting betting opportunity for exchange players. Bear with me, I'll get to it. He obviously lacks the potential of last year's Guineas fourth Elarqam (has had a wind op since we last saw him), and Zabeel Prince goes so well when fresh that he must be on everyone's shortlist here. And Robin Of Navan is actually the third-lowest-rated in here on a mark of 105 (and could probably doing with some more watering as well), but that only tells half the story as he was rated 114 in his pomp, and that would make him only 1lb shy of the form horse Mustashry. Obviously, there is a reason for that relative fall from grace but one of his better efforts came when he was second to Monarchs Glen over course and distance in October 2017, and he ran better than it appears when fourth in this race last year (trading 2.6 in the run), looking the likely winner approaching the final furlong before dropping away a touch disappointingly. He again sunk like a lead balloon after being ridden to the fore at Kempton on his reappearance - though he actually went as low as [2.1] in running when ridden to hit the front 2 out in the bend - but I think we can reasonably expect Moore to play a more realistic waiting game here, with tons of pace ranged against him. And, if the market is any guide, then that Kempton run was a much-needed blow-out (he was a big drifter out to 33/1 on the show, and went off a huge 60.62 at Betfair SP) on his first start since a November third here on soft ground. Actually, the more you look at his in-running record he could be back-to-lay proposition here, hence the exchange angle I mentioned earlier. He traded at [1.29] in the run when he was second to Monarchs Glen in his aforementioned career-best here in 2017, and indeed since making his debut he has traded at the following prices when beaten in his races in this country (1.84/2.08/1.29/2.6/3.2/2.04 and 2.1). That is some record of flattering to deceive. Recommending an actual bet is difficult in these circumstances - so I won't - but you may want to back him at [40.0] or bigger, and put in a lay in--running (using the keep-bet option on site) at maybe at and around the 3/1 mark (or bigger, you choose the level you are happy with - you could want to go in at much higher odds to lessen the risk of the trade), given the strength of this race. Not just a tipping column this, it's educational, too. Rufus King of the castle? Rufus King could be a shade overpriced at 14/1 each way with Betfair Sportsbook in the 16:45. He can go forward, as he did when making all here in October 2017, or take a lead, as he did in his three other successes. He could well get an easy lead here if Mubtasim doesn't repeat his Meydan winning tactics from earlier in the year, though - and he usually doesn't - and that could suit P J McDonald just fine. He was on board for the horse's course win here (and two of the other three successes), so he knows him well. Rufus King may not have a great deal in hand of the assessor, if anything, but he is still fairly weighted, some 4lb lower than when a fair fifth in a valuable handicap on the July course last summer. 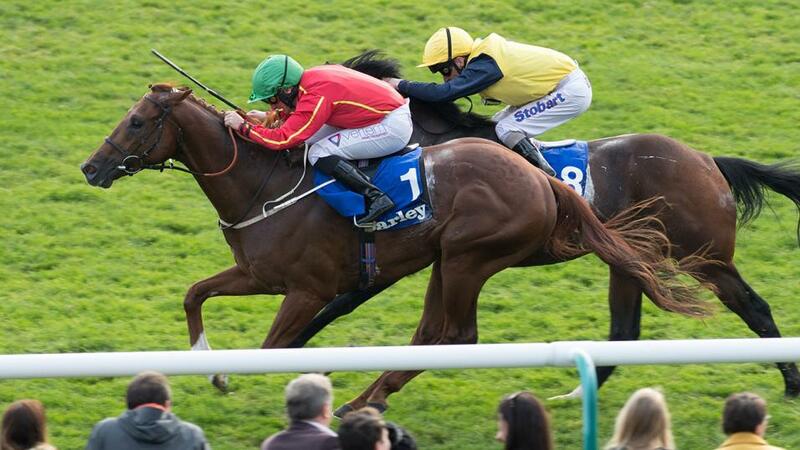 He also ran well at Lingfield first-time-up last season, and quick ground suits him well on turf. He is worth an interest. I think Ornate could go well in the sprint in the last, but just the two bets on the day for me. And that trading bet to consider.